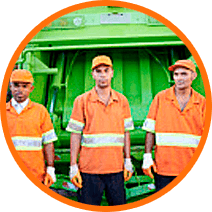 Waste management is one of the services that today require an even more demanding level of logistical efficiency. 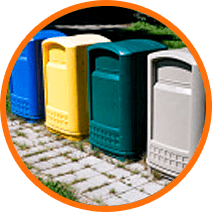 Its importance as basic service of today's society and the complexity of effective waste management makes a software of control and optimization as Routing Reparto be an invaluable improvement for this type of service. In addition, the necessary classification of the different types of waste for proper treatment, added to the change of volume, weight and constitution adds a high degree of difficulty that logistics enterprises have to bear. Specific logistical calculation for your business, taking into account multiple factors such as working hours, the vehicle's load capacity, the type of vehicle, the type of waste to manage, etc. Optimize the collection and delivery of the waste, reducing the duration of each trip and increasing the work capacity of your vehicles. Better route planning with automatic allocation of waste collection points. Control of the right collection and waste management to ensure compliance with the legislation in force. Geolocation of your vehicles on the map. Automatic reporting that allows to see all the information about your business activity at any time. Specific calculation for the specific properties of the waste to be managed: by volume, weight, constitution, etc.